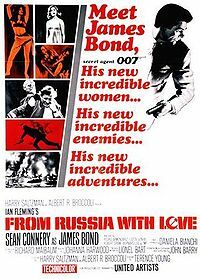 From Russia with Love (1963) is the second in the James Bond spy film series, and the second to star Sean Connery as the fictional MI6 agent James Bond. The film was produced by Albert R. Broccoli and Harry Saltzman, and directed by Terence Young. It is based on the 1957 novel of the same name by Ian Fleming. 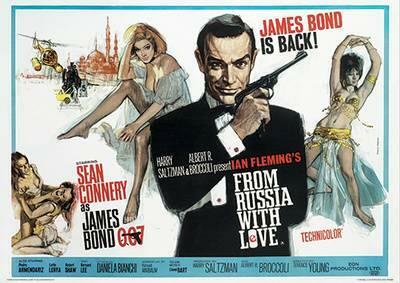 In the film, James Bond is sent to assist in the defection of Soviet consulate clerk Tatiana Romanova in Turkey, where SPECTRE plans to avenge Bond’s killing of Dr. No.